Meet the protected environmental reserve Ria Lagartos. Biodiversity, characterized by abundant mangroves and extensive marine life, is considered of extraordinary richness. 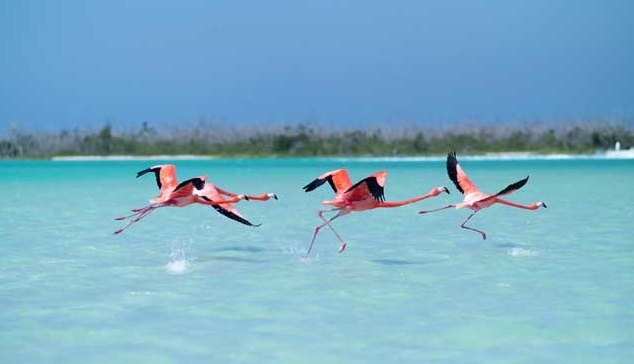 Rio Lagartos is the wild flamenco Mexican bird habitat. 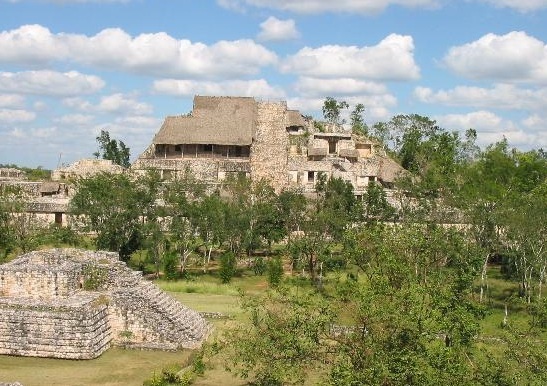 Also visit the ruins of Ek Balam with a specialist guide in the Mundo Maya. 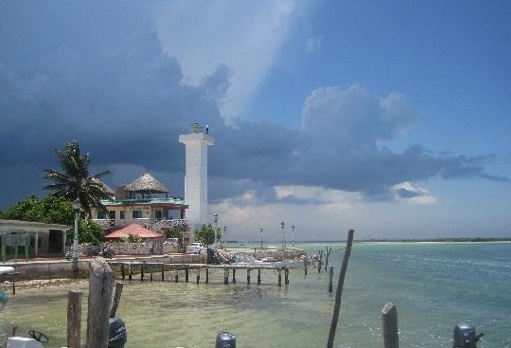 Río Lagartos is a town in the state of Yucatán, Mexico. The town lies 42 kilometres north of Tizimín. The layout of the site is surrounded by two concentric walls which served as defense against attack. There were many smaller walls that snaked through the city as well. The inner wall encompasses an area of 9.55 hectares (23.6 acres). 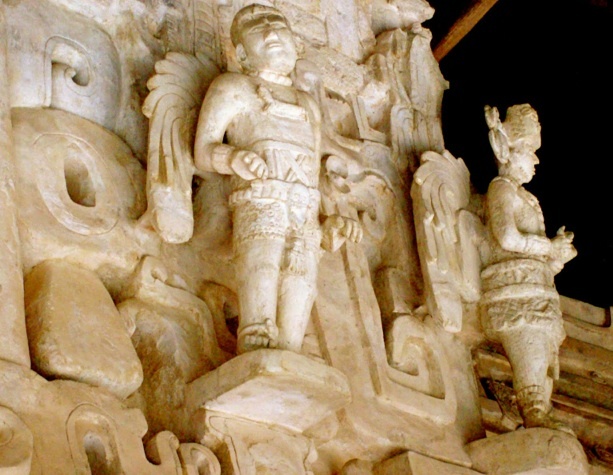 The carved stone of the inner wall, 2 metres (6.6 ft) tall and 3 metres (9.8 ft) wide, is covered in plaster; the outer wall serves purely for defense, as it is less substantial and less decorative. 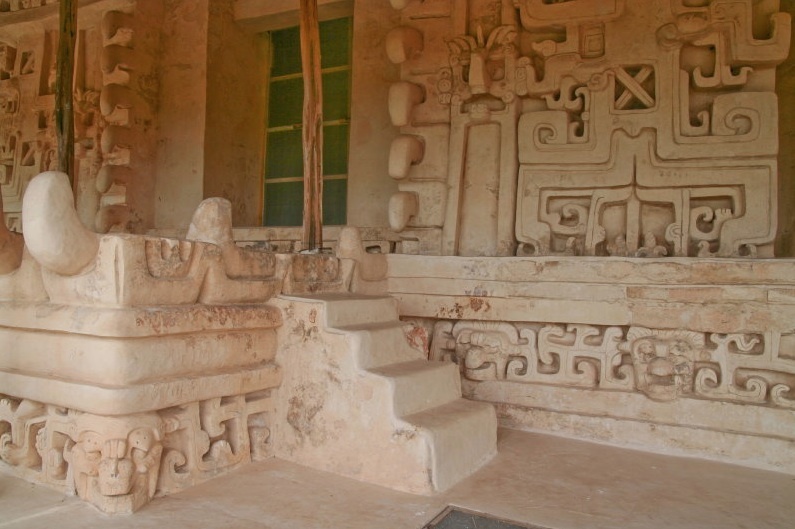 These walls were the largest in the Late Classic Yucatan, and seem to have a symbolic meaning of protection and military strength. 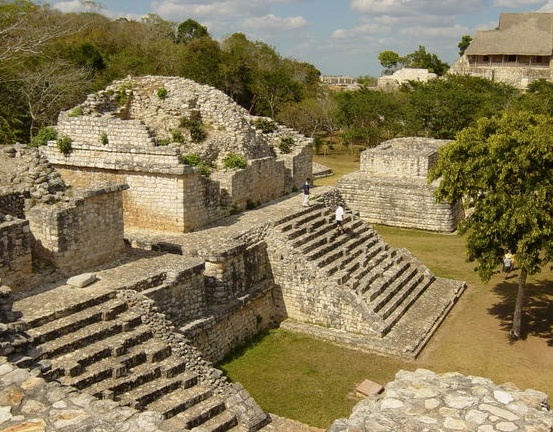 Theories claiming a hasty desertion of the city are backed up by the fourth wall inside the city, which “bisects the Great Plaza, and, at less than a meter wide and made of poorly constructed rubble, it was clearly built as a last ditch effort at protection” against invading attackers.